(Photo courtesy of Cunard Line). The first stop on his new career path was as a deck officer cadet on the legendary Queen Elizabeth 2 (QE2). Rising through the ranks, he has served on Cunard Countess, Cunard Dynasty, Royal Viking Sun, Sagafjord, Vistafjord, Caronia, Atlantic Conveyor (Cunard's last cargo ship) and all three of Cunard's current Queens. Along the way, he has become a passionate student of Cunard's 178 year history and even gives lectures about Cunard's history on longer voyages. 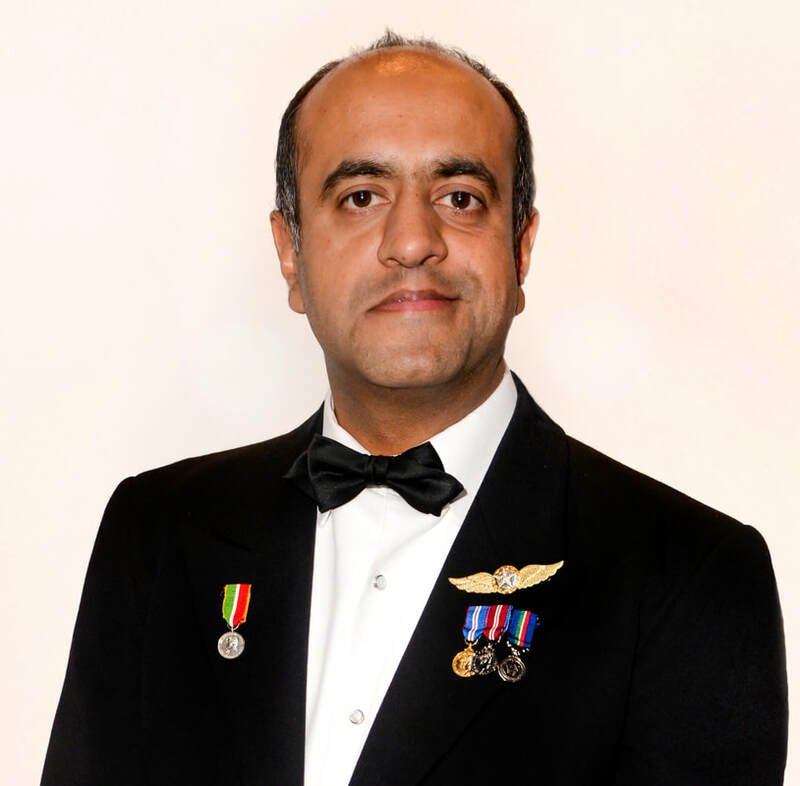 In 2013, Captain Hashmi received the Merchant Navy Medal from the United Kingdom's First Sea Lord in recognition of his contribution to safety in the maritime industry. In addition to giving talks on safety, Captain Hashmi has introduced aviation-style checklists and procedures to his ships. While he still occasionally wears his wings on formal occasions, Captain Hashmi does not miss flying. “Not when you have this, not when you have all of this,” he laughed while looking around at one of Queen Elizabeth's public spaces. As noted earlier, Captain Hashmi is quite passionate about Cunard. He sees a voyage on a Cunard ship as being much different than a cruise on other lines. “They come into port and open the gangways and it is just hundreds and hundreds of people coming off. You queue to come on, come off, queue for the buffet, queue for the show, queue for this and that.. In a comparable size ship, you can have more than 30 percent more guests aboard and 20 percent less crew. The [passenger to crew] ratio increases geometrically and you can have 4 to 1 whereas here it is 2 to 1.”(In the cruise industry, a lower passenger to crew ratio is considered an indication of better service).